Successfully helping troubled boys deal with issues they are struggling with and which are causing problems in their life. – therapeutic schools and teen boarding schools. What Does Success Look Like at Prayer Mountain Boys Academy? When a student comes to Prayer Mountain Boys Academy it is typical for him to exhibit blame-shifting, avoidance of responsibility, and sometimes complete denial of wrong doing. Soon after enrollment the student begins to experience some regret for the consequences of his prior behavior. Essentially, he is “sorry” for being caught in his behavior but has yet to experience a turning away from his old sinful desires. This may be very similar to the ups and downs that parents have experienced at home, promises to change, periods of peace, that cycle back to crisis. We believe that regret does not change individuals, repentance does. Many times, teens have been spared the heartache of the full-blown consequences for their negative decisions. This is because at this age they are only beginning to experiment with behaviors that would later in life render them completely hopeless and unfulfilled in every area of their life; emotionally, academically, physically, and spiritually. In some cases teens have been protected from the full consequences of their decisions by well intending adults. For these reasons, teens are not always entirely certain of the need for change in their lives. However, the parent is convinced of this need for life changing intervention. At Prayer Mountain Boys Academy we consider ourselves an early intervention program, intervening in adolescents’ lives before they become an adult trapped in a dysfunctional lifestyle. At Prayer Mountain Boys Academy we have cultivated a positive peer culture. Students are encouraged to be responsible for their own actions and to hold others accountable for their actions. This positive peer element is a part of the Teen Challenge dynamic. Students influence other students positively as opposed to the negative peer pressure that so many of our students face before coming to Teen Challenge. As a student comes into our program and demonstrates obedience, he begins to recognize and reap the benefits that come with obedience. Teen Challenge provides a safe haven for adolescents who have sought to fill the void in their hearts, only to reap destructive consequences in its place. 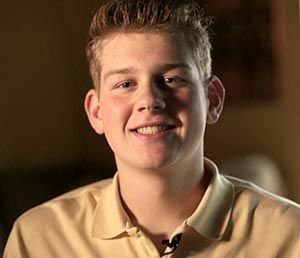 Our program provides an opportunity for each student to refocus and assess his life decisions and allows him the opportunity to choose the abundant life Christ has to offer. In the process, the student is taught indispensable lessons of strong work ethics, team work, leadership, patience, diligence, determination, communication, submission and motivation, to name a few. A joyful and peaceful disposition. We can also help you in your search for other therapeutic schools, troubled boys boarding schools, troubled teens schools, private therapeutic schools, or faith-based boarding schools. This is a Teen Challenge boys ranch and boarding school program dedicated to helping troubled boys get a new start in life. Our boys ranch is a therapeutic program that offers hope and an opportunity for a new and more productive future for at-risk boys. Teen Challenge therapeutic boarding school and ranch providing behavioral therapy for troubled teenage boys. Successfully helping troubled boys deal with issues they are struggling with and which are causing problems in their life.